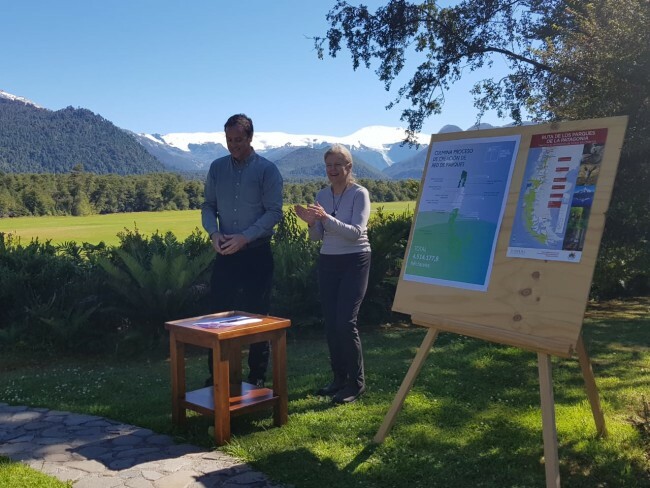 Chile’s Minister of National Assets, Felipe Ward, joined Kris Tompkins at Pumalín Douglas Tompkins National Park to celebrate the establishment of the Network of National Parks of Chilean Patagonia, which includes eight national parks. “After a long process, thanks to the largest private donation in history for conservation purposes, we have reached the culmination of this network of parks. It is a very important milestone because national parks are a garden that belongs to all Chileans, and we have to take care of them,” said Minister Felipe Ward during his visit to Pumalin Douglas Tompkins National Park. This network was established with the donation of over 1 million acres (407,000 hectares) from Tompkins Conservation in March 2017, which added to Chile’s contributions and allowed for the creation of 5 National Parks (Melimoyu, Patagonia, Kawésqar, Cerro Castillo, and Pumalin Douglas Tompkins) and the expansion of three others (Hornopirén, Corcovado and Isla Magdalena). In total, the network is over 11 million acres (4.5 million hectares). 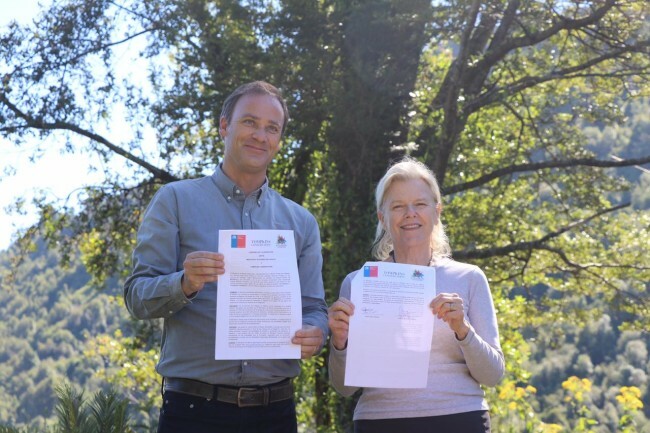 The Minister of National Assets and Kristine Tompkins also signed an agreement whereby the minister is committed to supporting the Route of Parks of Chilean Patagonia, a 1,700-mile scenic route between Puerto Montt and Cape Horn, which connects 17 National Parks and 60 communities, offering an opportunity for local economic development through tourism as a consequence of conservation. “The Network of Parks is the origin of something even bigger: The Route of Parks of Chilean Patagonia, which protects more than 28 million acres (11.5 million hectares) under the category of National Parks. Chile is a leader in conservation, thanks to strong collaboration between the public and private sectors. The Route of Parks will not only serve as an effective tool to preserve ecosystems and counteract climate change, but will boost local economies,” added Kristine Tompkins.